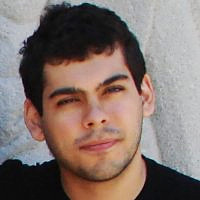 André Araújo da Luz Moreira is a mechanical engineer working in the area of aircraft maintenance and quality assurance in Brazil. In 2015 he enrolled in the course Linear Modeling of the Faculty of Aerospace Engineering. What was your motivation for enrolling in the course? I was trained as a mechanical engineer with some additional education in the field of aeronautics. Now after gaining experience in my field for few years I am currently planning on my personal development. I am exploring different paths in my field, such as design of components as well as research. The course linear modeling helped me to get into the depth of structural analysis and so expand my career possibilities. In the course I managed to dig deeper into structural analysis – the course involved high-level review of the math that is used to perform stress analysis, and I got a better understanding of what lies behind the structural analysis software that are used in industry on a daily basis. This knowledge will help me to take better decisions when it comes to structures – failure of components often caused due to stress, so understanding the ins and outs is indispensable. The course was demanding, and at times was challenging to combine with work. But I found the forums and the communication with the course team helpful. While online learning differs from classroom learning, the quality and effectiveness of online education is very high. It was far more efficient and useful than self-study through books or content found online, and in fact this course was better than any other course about Finite Element Method that I took in the past. I am happy I had the opportunity to participate in a course of such level from my own city in Brazil!